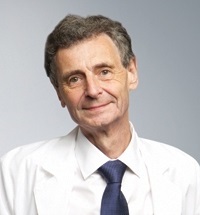 Piotr Olejniczak, MD is the Grace Benson Professor of Neurology with tenure at the Louisiana State University Health Sciences Center in New Orleans, Louisiana. He is board certified in neurology, clinical neurophysiology, and sleep medicine. He is currently the Director of the Epilepsy Center at the LSUHSC in New Orleans. Dr. Olejniczak also serves as Director of an ACGME accredited Clinical Neurophysiology Residency (fellowship) program at LSUHSC. Dr. Olejniczak earned his medical degree and PhD from the MedicalSchool in Wroclaw, Poland. He completed his internship at the University of Kentucky in Lexington, residency in neurology at the University of Cincinnati Hospital, and fellowship in clinical neurophysiology at the LSUMedicalCenter in New Orleans. He is a former senior Fulbright scholar with fellowship in Neurosciences at the University of California San Diego in 1985/1986. Dr. Olejniczak has written more than 100 peer-reviewed articles, abstracts, and reviews during his career. His research interests include applications of quantitative EEG and MRI analysis in clinical epileptology. He serves as an examiner for the American Board of Clinical Neurophysiology and the American Board of Psychiatry and Neurology. Dr. Olejniczak is a member of several organizations, including the AMA, AmericanAcademy of Neurology, and American Academy of Sleep Medicine. Mader EC Jr, Villemarette-Pittman NR, Santana-Gould L, Kashirny SV, Olejniczak PW. Typical spike-and-wave activity in hypoxic-ischemic brain injury and its implications for classifying nonconvulsive status epilepticus. Clin Med Insights Case Rep. 2012; 5: 99–106. Mader EC Jr, Fisch BJ, Villemarette-Pittman NR, Olejniczak PW, Carey ME. Botulinum Toxin Injections for Simple Partial Motor Seizures Associated with Pain. Case Report Med. 2012;2012:295251. Epub 2012 May 31. E.C. Mader, Jr. and P. Olejniczak. Epilepsy Syndromes. Epilepsy and Intensive Care Monitoring. Ed. B.J Fisch. Demos Publishing, 2010. 10:119-150. S. Bunch , C.M.DeGiorgio , S. Krahl , J. Britton , P. Green , M. Lancman, J. Murphy, P. Olejniczak, J. Shih, C.N.Heck: Vagus Nerve Stimulation For Epilepsy: Is Output Current Correlated with Acute Response? Acta Neurologica Scandinavica, 2007; 116: 217-220. B.J. Fisch and P. Olejniczak, Generalized Tonic-Clonic Seizures, In: The Treatment of Epilepsy. Principles and Practice. Ed. Elaine Wyllie. 4th edition. Lippincott Williams & Wilkins Chapter 19, pp. 279-304, 2006. P. Olejniczak, Neurophysiologic basis of EEG, J Clin Neurophysiol 23(3);186-189, 2006. Butterbaugh G, Olejniczak P, Roques B, Costa R, Rose M, Fisch B, Carey M, Thomson J & Skinner J, Lateralization of Temporal Lobe Epilepsy and Learning Disabilities, as Defined by Disability-Related Civil Rights Law., Epilepsia 45(8);963-970, 2004. Olejniczak P, Kwasik S, Fisch B, Carey M, Butterbaugh G and Rejniak K, Non-linear analysis enhances sensitivity of EEG as recorded from scalp and subdural electrodes for detection of VNS-induced power spectrum changes., J Clin Neurophysiol 20(3);213-214, 2003. P. Olejniczak, B. J. Fisch, M. Carey, et al., Effects of vagus nerve stimulation on epileptiform activity recorded from hippocampal depth electrodes, Epilepsia 42(3):423-429, 2001. P. Olejniczak, J. England, M. Carey, The effect of vagus nerve stimulation upon EEG as recorded from occipital subdural electrodes in a human case, Neurology and Clinical Neurophysiology ISSN 1526-8748, 2000.